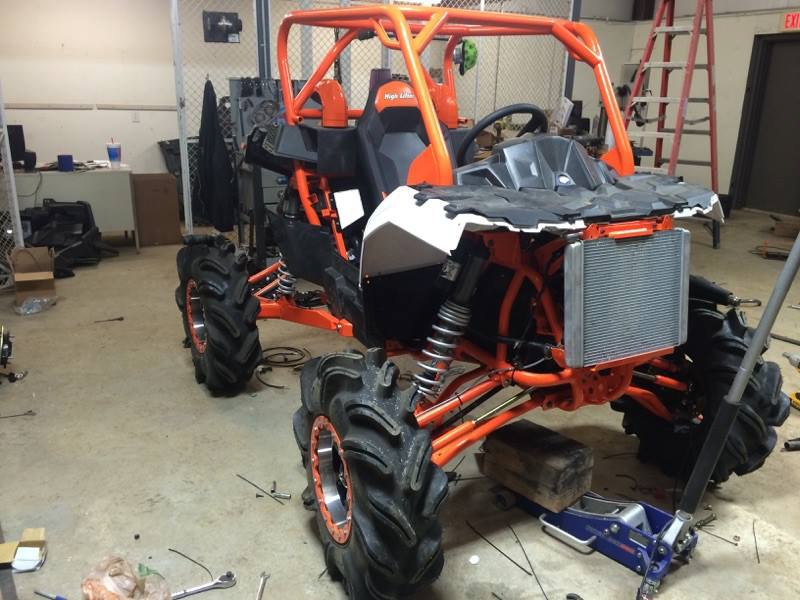 You may call it a Polaris Ace 570, but after a few weeks in the High Lifter Outlaw Garage, this build has turned into Spider Monkey 1000! 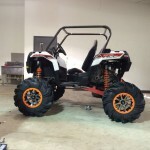 High Lifter Outlaw Garage took the Polaris Sportsman Ace 570 to an unprecedented level with this build. 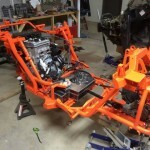 High Lifter started by ditching the single control arms and struts, replacing them with Polaris RZR 900 FOX Shocks, custom rear trailing arms, front double control arm suspension, while adding all of the following customizations: trailing arms, arched radius bars, roll cage, roof, tow hook, snorkels, and gas tank. 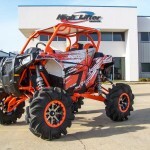 To increase the power, they added a Polaris RZR 1000 engine, RZR 1000 front differential, and a RZR High Lifter Edition Transmission! 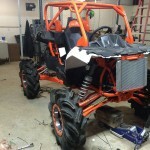 They also dropped in a RZR 1000 wiring harness and radiator as well. 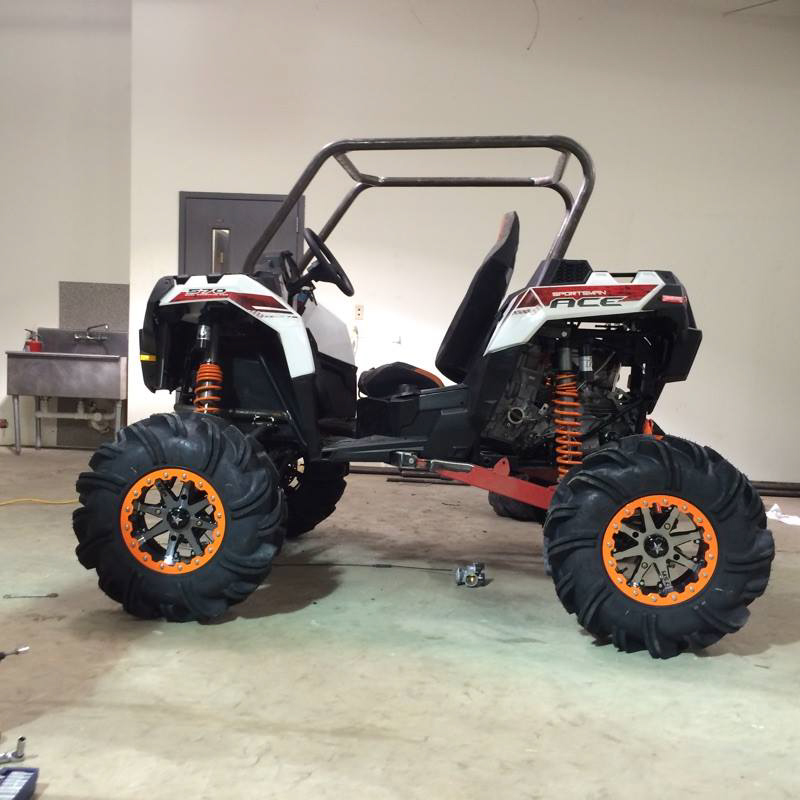 The Outlaw Garage team added a Team Alba clutch kit, exhaust, and programmer for efficient power transfer to the 29.5” Outlaws mounted on MSA M21 Beadlock Wheels. 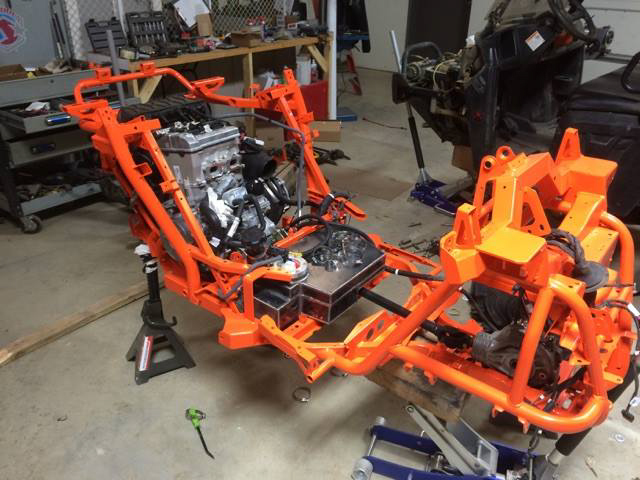 To finish the build, High Lifter added an AMR wrap, custom seat graphics, Polaris doors and power steering upgrade, and a ProArmor seatbelt harness. 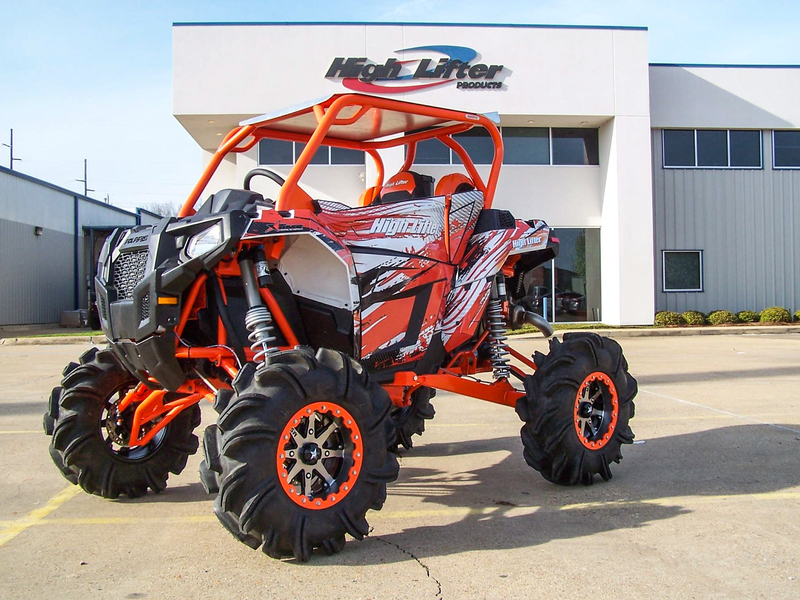 Come check out Spider Monkey 1000 at the High Lifter Mud Nationals Sponsored by Polaris starting this Wednesday through Sunday at Mud Creek Off-Road Park in Jacksonville, Texas!